LIFE is a journey. And as people age, they generally find a few more curves along the way – sometimes anticipated, but often unexpected. Better decisions are made after having substantial information to consider. The more informed the 50+ community is about available options, the more confident they feel about decisions made ... both planned and unpredicted. Throughout the year, we commit space in 50plus LIFE to provide this valuable information. At a very affordable cost, you can reach our regional print readership (about 150,000+) and our wide-ranging online viewers by being included in these dedicated pages (where applicable). 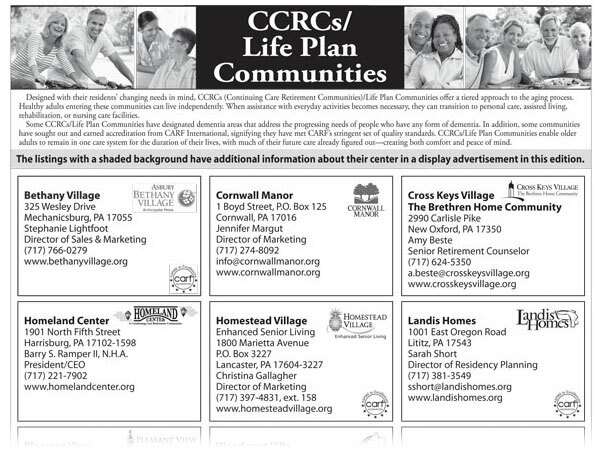 CCRC’s offer a plethora of services and amenities in a variety of community settings. Where are you? 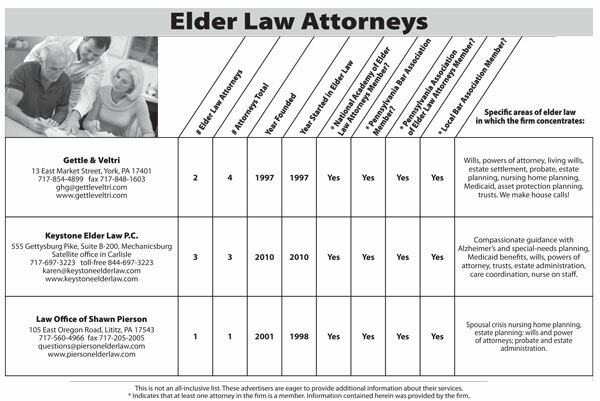 Boomers and seniors have more choices than ever for support services. Let our readers know in what capacity you can provide services – medical, non-medical, and/or hospice. 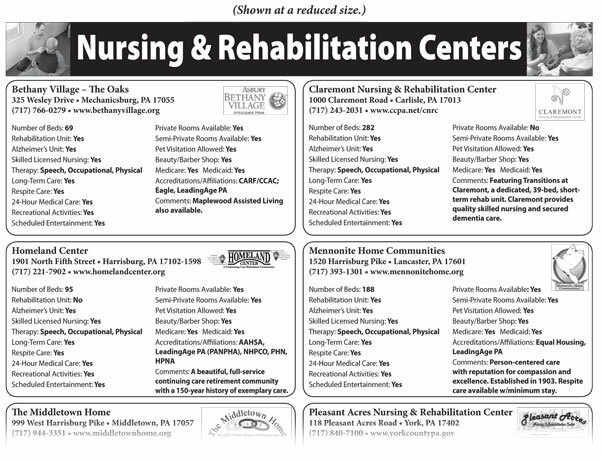 Selecting a nursing or rehabilitation center can be a difficult but important decision. Inform our readers about the services your facility offers. 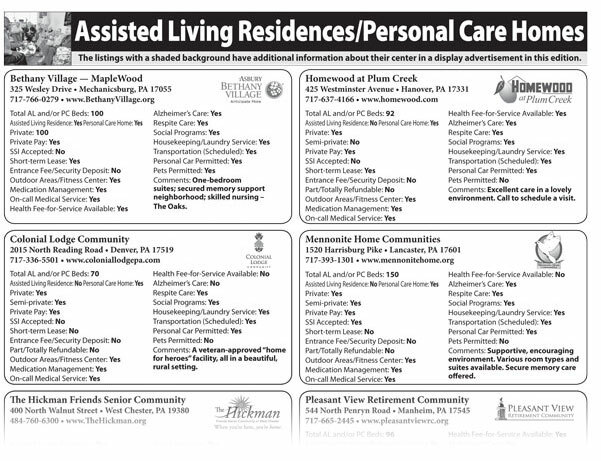 Let area boomers and seniors know about the services and amenities you offer and what sets your community apart. 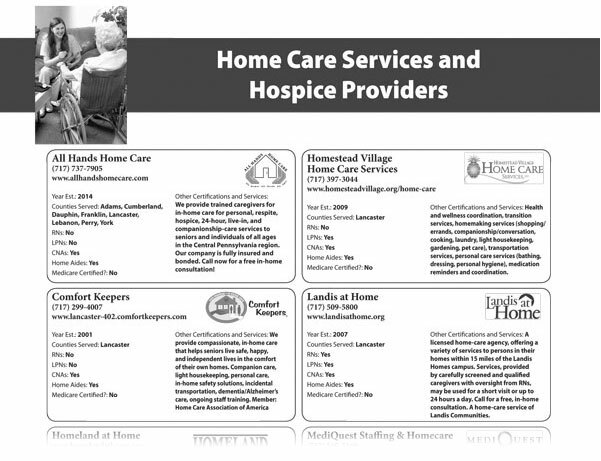 Convey the specialty services you offer our 50+ readership. Highlight the experience and expertise your firm offers in the preparation of their most personal affairs.